Harold the Dauntless: A Poem, in Six Cantos. By the Author of "The Bridal of Triermain". Edinburgh: Printed by James Ballantyne and Co. For Longman, Hurst, Rees, Orme, and Brown, London; and Archibald Constable and Co. Edinburgh. 1817. Scott began work on Harold the Dauntless, his last long verse narrative, in October 1815, shortly after completing The Field of Waterloo, and while busy on Paul's Letters to his Kinsfolk. The poem - in Scott's own words, 'a strange, rude story' (letter to John Morrit, 22 December 1815) -- was inspired by the Viking legends of the Berserkers. Scott was an enthusiastic and knowledgeable reader of the Old Norse sagas. His library at Abbotsford contained over a hundred works relating to ancient Icelandic poetry and has recently been described as 'one of the best-stocked Scandinavian libraries in Britain' (Wawn, Andrew, 'Foreword' to Scott, Walter, The Pirate (Lerwick: The Shetland Times Ltd., 1996), p. XII). Composition was rapid, but Scott was dissatisfied with the poem and, fearing that his poetic vein was exhausted, resolved to make no further experiments in narrative verse. 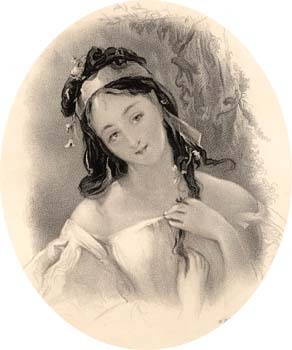 It was published on January 30, 1817 as another work by 'the author of the Bridal of Triermain'. Always fond of mystifications, Scott was again curious to see whether critics and public would detect his hand in the work. The poem's hero Harold, son of the Norse King Witikind, is appalled when his dying father receives Christian Baptism in exchange for a grant of Church lands. In protest at the betrayal of Viking ideals, he quits home. On his travels he meets and woos Princess Metelill who is already betrothed to the English Lord William. The girl's father is virulently opposed to his suit, considering Harold a barbarous Pagan. Meanwhile, the Church authorities plot to have Harold disinherited. He reacts violently but is persuaded to undertake a knightly quest, during which he encounters Witikind's ghost who tells him that he is condemned to wander restlessly until his son repents. 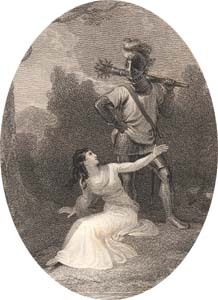 Chancing upon Metelill's wedding procession, Harold kills her father and is barely prevented from killing the groom by own his servant, Gunnarr. Having reached the destination of his quest-journey, a castle, he finds himself plunged into the region of the dead where preparations are being made for his own arrival. He confronts and destroys the Odinic spirit which rules over the region and rescues Gunnarr from Óðinn. Gunnarr turns out to be the Danish maiden Eivir in disguise. Harold announces his intentions to receive baptism and to marry Eivir, and his father's troubled spirit is able to rest in peace. Few critics penetrated the mystery of the poem's authorship, most regarding it as a second-rate imitation of Scott himself. Blackwood's considered it 'an elegant, sprightly and delightful little poem' but 'generally inferior to the works of Mr Scott, in vigour and interest'. For the Literary Gazette, it possessed a 'caricature resemblance' to Scott's verse, while the Monthly Review lamented 'faults engendered by a servile imitation of Mr Scott's bad grammar and discordant versification'. Such comments, combined with indifferent sales, did nothing to dissuade Scott from the opinion that his future lay with prose fiction.